My Quilt Infatuation: Heirloom Score! Don't you just love those unicorn finds! You did right by these fabrics, it's so pretty! Of course she'll love it! Gorgeous. What a great find from someone's stash. From one Louisiana girl to another, just beautiful. Great way to display beautiful fabrics. This pattern definitely goes on my "To Do" list. 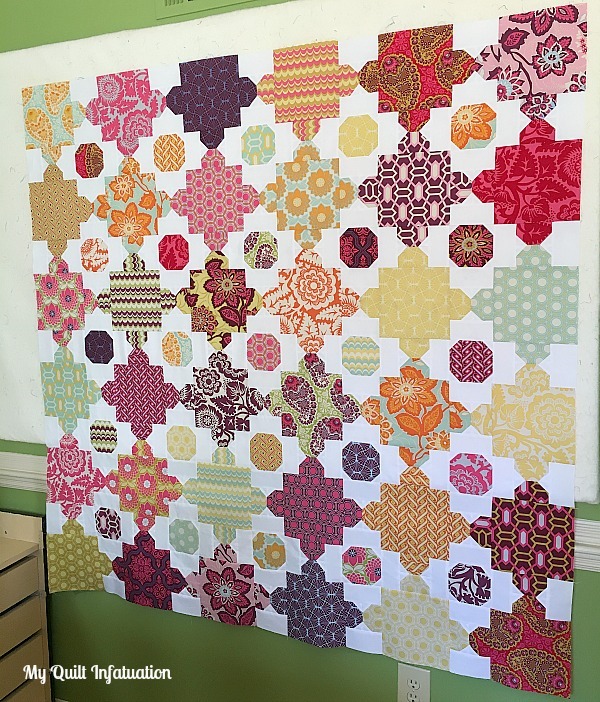 What a beautiful quilt and a great snag from a destash! You have a way with those beautiful large scale prints.Love it! Congrats on the great snag and on a gorgeous finish.